ROYAL JELLY is a unique blend of herbs and extracts believed to prevent the natural aging process. This product gets its name from the fact that bees use it for the development and nurturing of queen bees. 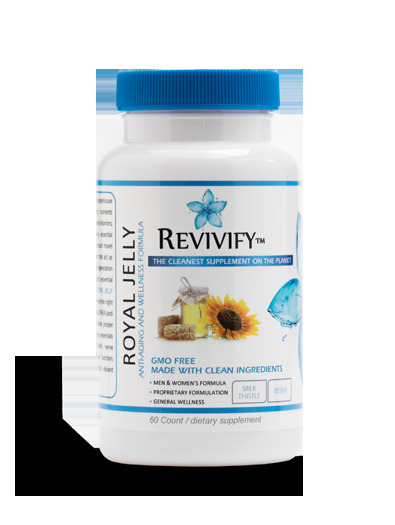 Don’t confuse royal jelly with bee pollen or bee venom – it has much greater utility and purpose in preventing the aging process and boosting the immune system. This formula also contains Ashwagandha believed to improve thinking ability, decrease pain from inflammation and improve the overall ageing process.